Day-to-day coaching and personalized training program all the way to your goal race. We provide basic strength and conditioning for injury prevention, nutritional advisement for race day success, and race course analysis for race execution. We excel when it comes to working with individuals with very busy lifestyles. Your training program is adjusted as your life evolves and fitness progresses, with a weekly check-in. If you live in the NYC area you can benefit from our hands-on training sessions. 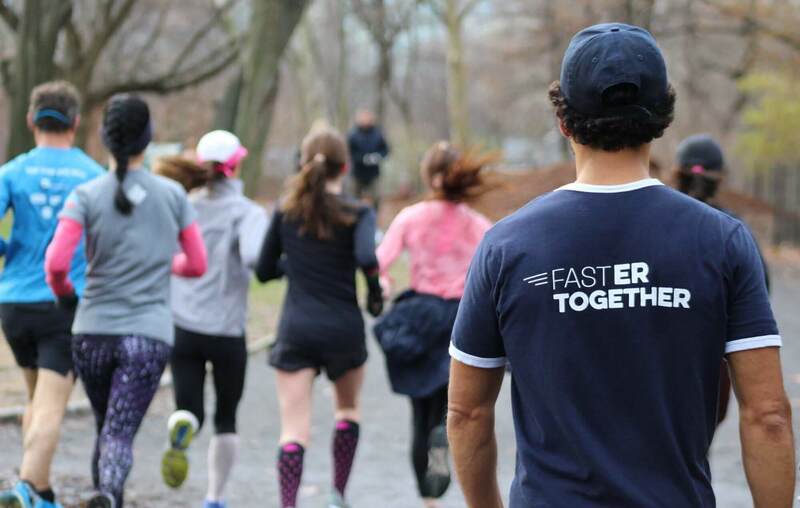 We meet twice a week: Wednesday 6:30 PM at McCarren Park Track (Brooklyn) and Saturday 8:00 AM in Central Park (Manhattan). *Currently, the pricing for In-Person Group Training is the same as the Online Coaching and includes all the features of the Online Coaching with the additional perk of in-person feedback. The static online training plan to your goal race includes all of the features of the Online Coaching excluding the day-to-day feedback and adjustments.